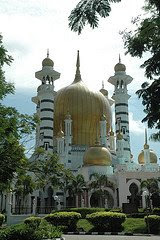 THE Islamic banking system has emerged as a vibrant alternative financial system in Malaysia. Islamic banking assets (including Islamic assets held by development financial institutions (DFIs)) currently accounts for 15.4% (11.5% in 2003) of the total banking assets (including assets held by DFIs) of the Malaysian financial system. Capitalising on the ready infrastructure and comprehensive Islamic financial system locally, the strategic development of Malaysia as an international Islamic financial centre was taken to a new level with the launch of the Malaysia International Islamic Financial Centre (MIFC) initiative in 2006. To accelerate the development of Islamic finance, new banking and takaful licences were offered to attract leading global players to establish operations in Malaysia. During the year, 16 approvals were granted for international currency business operations.Two additional retakaful licences were also granted in 2007 to local and foreign players, further consolidating Malaysia’s position as an international retakaful hub, while contributing to the development of enhanced underwriting and claims practices, and product innovations in the takaful industry. To further facilitate the conduct of takaful business, a tax treatment that recognises the unique characteristics of takaful operators had been introduced. The tax treatment provides for the appropriate recognition of income and expenses arising from takaful business, having regard to the distinct role of takaful operators as risk managers in contrast to conventional insurers, which are risk underwriters. Other current initiatives include the review of the tax treatment for the business of leasing which aims to address taxation issues that currently impede the development and growth of leasing and ijarah business. The Government continues to provide strong support for the MIFC vision by granting flexibilities to improve business efficiencies and to attract the best talent to Malaysia. In 2007, the Government introduced an “executive green lane” for immigration procedures for foreign experts in Islamic finance, and made available long-term employment passes with multiple entry visas and professional visit passes. The Government had also relaxed several Foreign Investment Committee rules for MIFC players. These include allowing 100% foreign equity ownership in Islamic financial institutions established under the MIFC and granting flexibilities in the acquisition of properties and land, both for own use and commercial purposes. Further tax incentives were also granted to promote Malaysia as a centre for origination, distribution and trading of sukuk.